Today we are delighted to open Community Assets , our new fund which will allow Scottish communities to buy, manage or develop buildings or land. Between now and 2020, community led groups can apply for grants from £10,000 to £1 million and, where needed, will receive professional technical support and advice from Community Asset mentors to turn their project ideas into reality. Through Community Assets we want groups to demonstrate three key approaches – people-led, strengths-based and connected. We’re keen to share examples of best practice projects so today we kick off with Fauldhouse Community Development Trust Ltd – a fantastic community asset project with a strong people-led approach. The board of the Fauldhouse Community Development Trust is made up of local people, many of whom have lived in the village for many years and who bring a dynamic mix of skills, experience and knowledge to the table. They are involved in a range of local groups and activities and have their ear to the ground on what local people want from a community asset. The Trust received an initial £454,943 from the Big Lottery Fund to purchase and refurbish a local building which is now a thriving community hub run for and by local people. It houses a range of social, educational and health based community services including a cinema, soft play area and café, and has meeting room space for local groups and businesses to use. 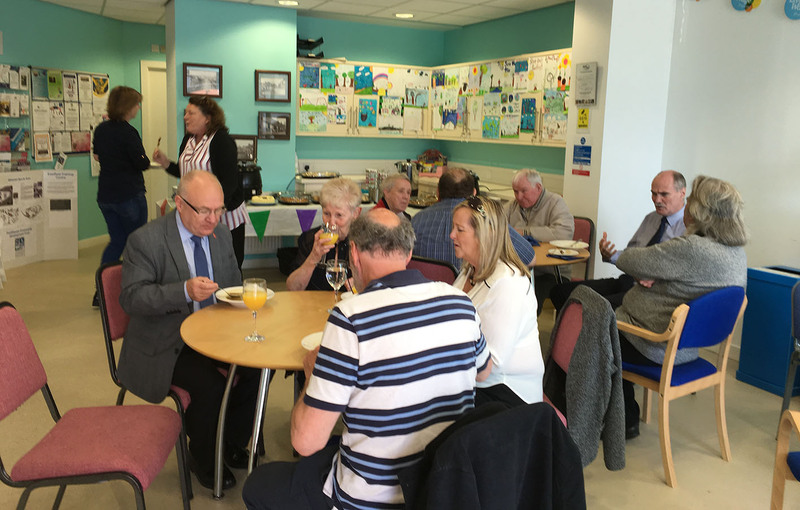 More recently they received £147,000 to develop the activities that take place in and around the community hub with the input from its dedicated volunteers. Robert Russell, Chair of Fauldhouse Community Development Trust Ltd, said; “It was 2006 when I went along to a meeting to discuss how a revamped community centre in my local area could benefit the whole village. As a fundraiser I’d been invited with my professional hat on but by the end of the night I’d been elected Chair, a position I have held since that very day! We got an award from the Big Lottery Fund in 2010 to buy and renovate the building. It was important that all the villagers had the opportunity to be involved, and to this day all activity that takes place in the centre is run for and by local people. It’s so important you are always listening to what local people are saying and that they have a chance to shape or drive what they want to see. If you have an idea for Community Assets funding visit our website to find out more or email us to discuss your proposal. ← How will you celebrate?